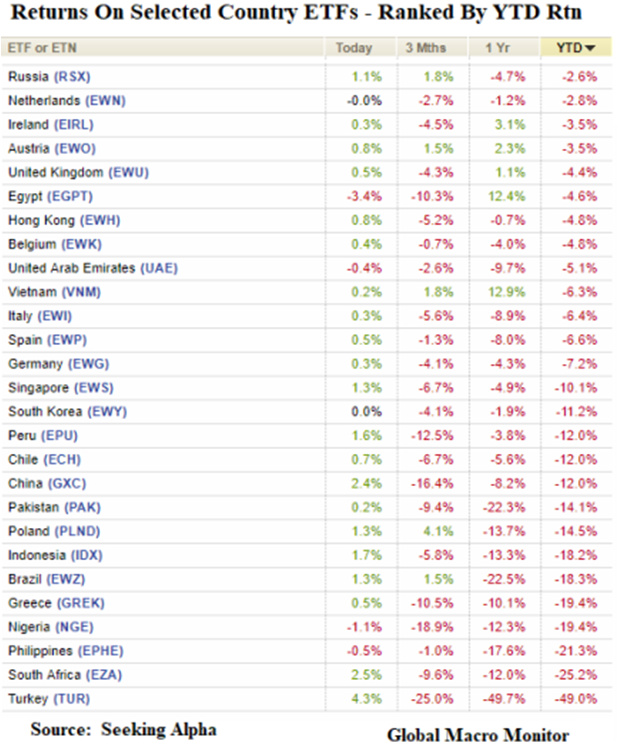 This time it is also not about an Emerging Market Country Crisis ( i.e. Thailand, Mexico, Argentina etc) but rather a broad swath of troubled EM countries. The resulting US Dollar Denominated Debt & Weakening Demand, along with shrinking liquidity has EM's trapped unless the US$ falls, demand increases or QT is halted & reversed. There is a second banking crisis looming in the EU as the Emerging Market turmoil washes ashore to where much of where their burdensome debt originated. Like the PIGS (Portugal, Italy, Greece & Spain) and Cyprus in the first EU banking crisis of the earlier part of this decade the problem stems from once again over-leveraged European banks. 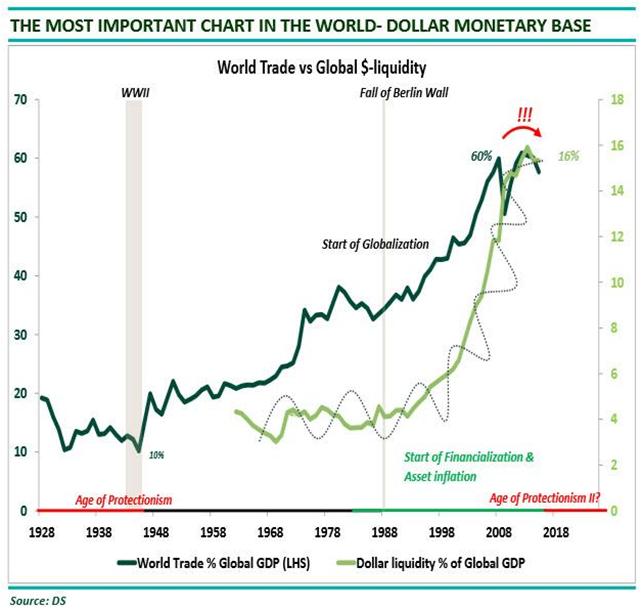 However, the problem as become more intractable as it involves a never experienced post QE "demand gap"; the explosion of global supply chain driven corporate debt and the near entire global Emerging Markets sector. Quantitative Easing and the Developed Economies' Central Bank Policies of "Easy Money" distorted & corrupted the global supply chain. The inevitable outcome was clearly obvious in 2013-2015 but effectively ignored in a race to capture economic growth and global market share. Hell is defined in the business of international finance as being too heavily leveraged in a period of rising rates and slowing trade with your debt denominated in a rising currency. This trap has again been sprung and the financial vultures are circling the EM's looking for easy "discounted" corporate prey and rising spreads. I may be too harsh but this playbook is well understood by those who aren't part of the Wall Street "millennial army" packaging trading advise to newbie investors. IT IS HELL OUT THERE! 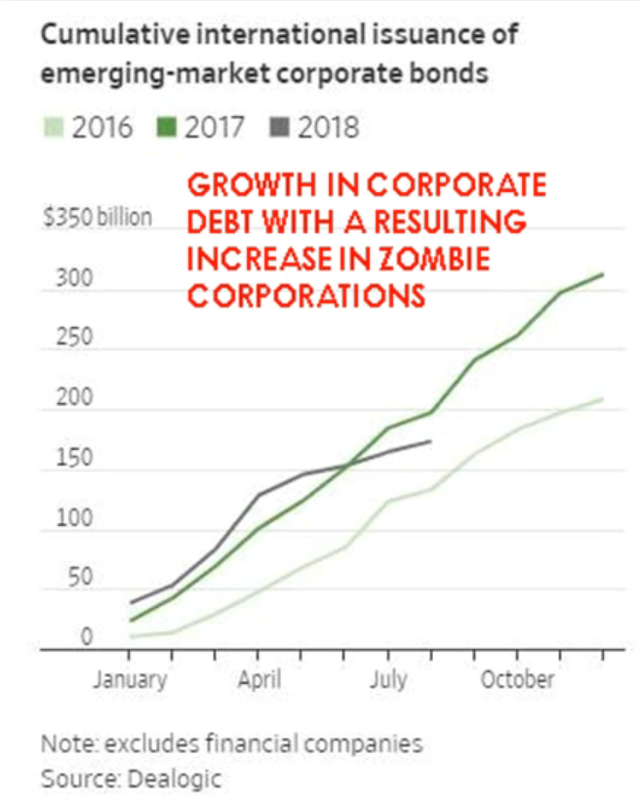 Why this is an even bigger investment opportunity this time around is that the poorly understood "twist" with this Emerging Market Crisis is about corporate debt load levels versus simply the traditional excess EM Government Debt levels that have historically triggered a crisis. 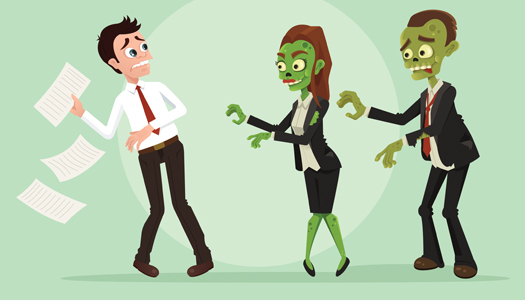 A massive threat to EM's is the rampant growth in "Zombie Corporations" which the Bank of International Settlements continues to warn about. OVER 20% OF GLOBAL FIRMS ARE CONSIDERED "CHALLENGED"
Additionally and maybe most critically for investors is that this crisis is across Emerging Markets, not a single poorly managed country. 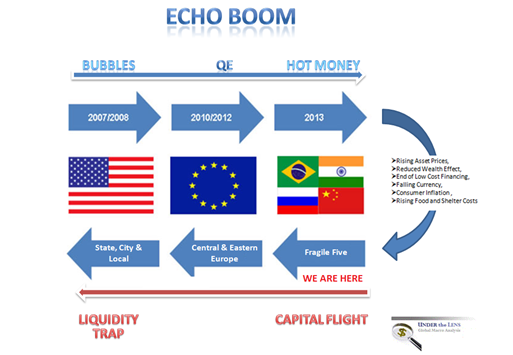 Shrinking Global Liquidity from reduced central bank easy money and quantitative tightening. As a result of the above Corporate spreads are likely to continue to deteriorate and EU Banking problems are likely to rapidly deteriorate - again! This problem is not going away quickly as Global liquidity rapidly disappears, unless the US Federal Reserve reverses monetary policy. This will happen but not before significant damage is done to EM Corporate Bonds and European banks & shadow bank lenders. Deutsche Bank and its massive derivative & swaps book is the canary in the coal mine! 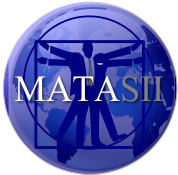 This 20 Minute video supported by 43 slides further details the current situation. 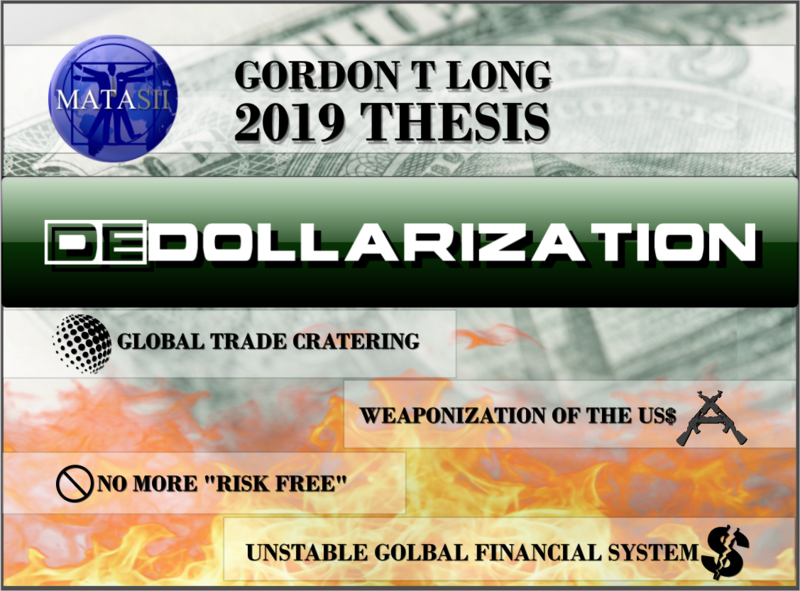 WALLSTREETforMAINSTREET INTERVIEW OF GORDON T LONG: A REVIEW OF THE GLOBAL MACRO IN-DEPTH: TRANSCRIPTION – A “SHRINKING POOLS” BULL MARKET?